U.S. Rep. Harold "Hal" Rogers commended leaders of the Harlan County Boys and Girls Club for their continued efforts to provide drug-free education and positive activities to young people in Harlan County. "You can't underestimate the work you're doing in the lives of the 2,000 young people who walk through these doors every year," said Rogers. "We learned through UNITE, that the average age of first drug use in our region is age 11, so we must mentor our youth and help them understand the importance of making good choices." In the midst of rampant prescription drug abuse in the region, Rogers reminded the crowd of about 150 people not to forget about the dangers of marijuana. Even as some states have legalized medical marijuana, the illegal crop is still booming in Kentucky. Frank Rapier, Director of Appalachia HIDTA (High Intensity Drug Trafficking Area) said the agency's region, covering Kentucky, West Virginia, and Tennessee is number one in the country for marijuana cultivation. "Marijuana is still the 'gateway drug.' Regardless of what type of drug is found during a drug bust, marijuana is always the common thread," said Rapier. "We have to continue educating the public about the link between marijuana and other drug use." 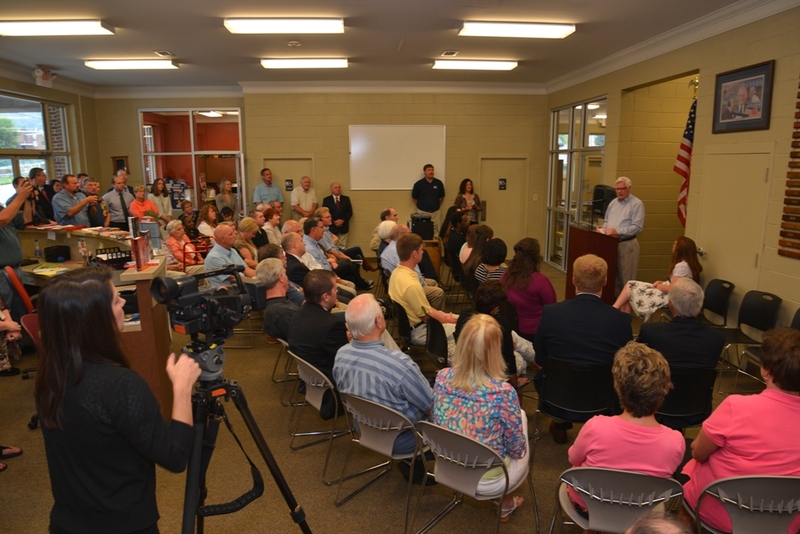 Rogers encouraged community leaders to stay involved with youth programs and activities offered by the Boys and Girls Club, Operation UNITE, PRIDE and other non-profit organizations. He presented the K.C.E.O.C. Community Action Agency with the first place award for the non-profit organization that recruited the most volunteers for the 2013 PRIDE Spring Clean-up. The group of 930 volunteers collected 910 bags of trash and cleaned 19 roadways. 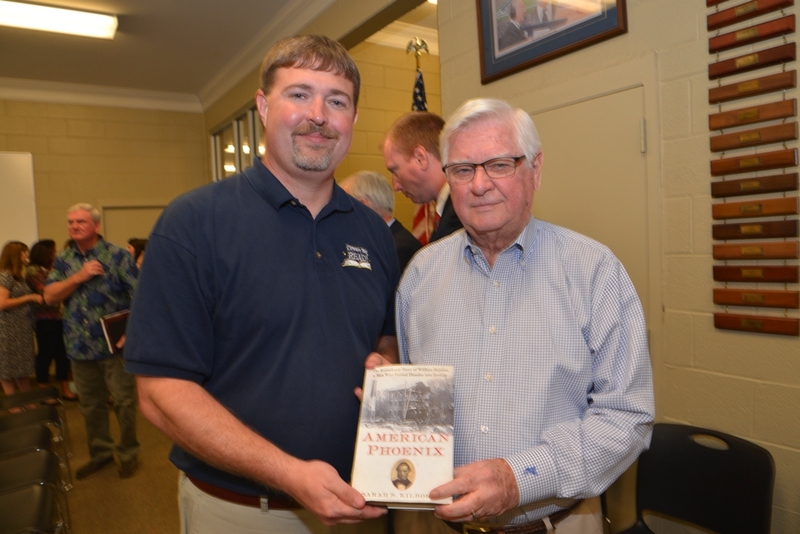 Rogers also presented Harlan County Public Library Director, Richard Haynes with more than 100 books from the U.S. Library of Congress' surplus book supply. So far, Rogers has delivered more than 1,000 books to libraries and schools across the region from the surplus supply.